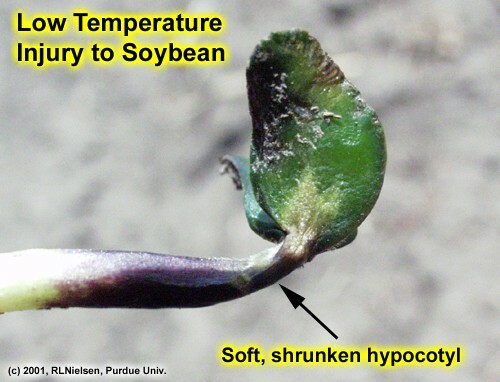 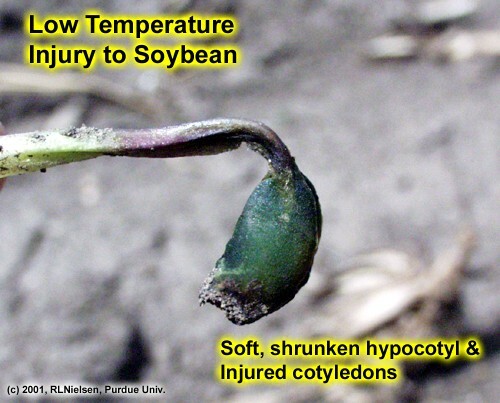 These images illustrate injury symptoms common to young corn and soybean seedlings resulting from damage by frost or lethal low temperatures. 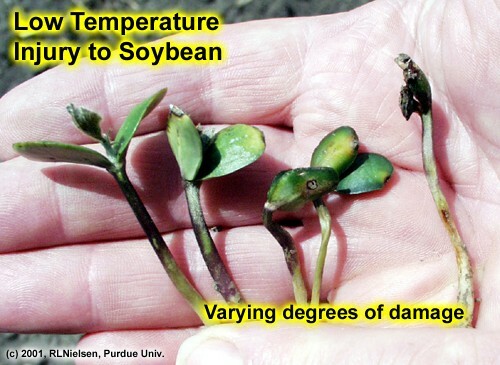 The first series of images were taken at the Agronomy Research Center near West Lafayette midday on Wednesday, 18 April, following two successive mornings of low temperatures around 28 F. The second series of images were taken midday on Tuesday, 24 April, or about one week after the potentially lethal low temperatures. 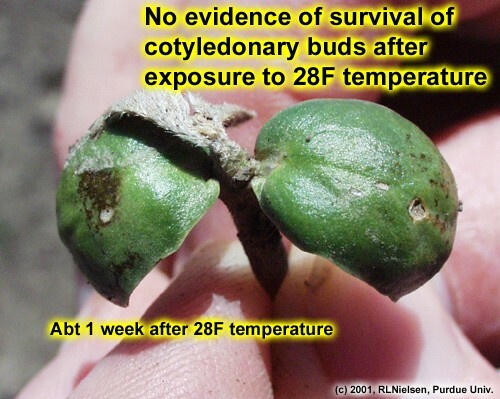 The percent survival rate for both crops was significantly less than 50%. 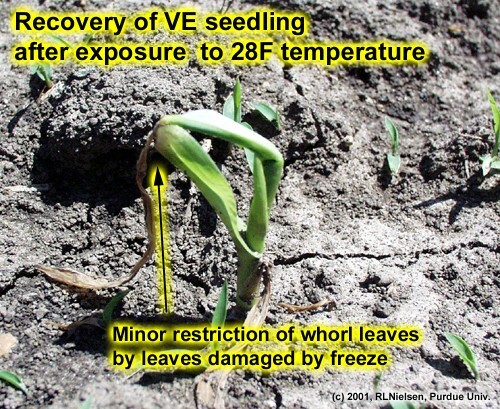 The severity of damage reflects the different effects of frost alone versus true lethal low temperatures, especially for corn. 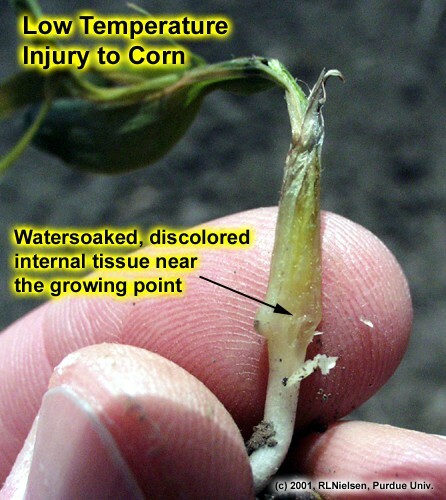 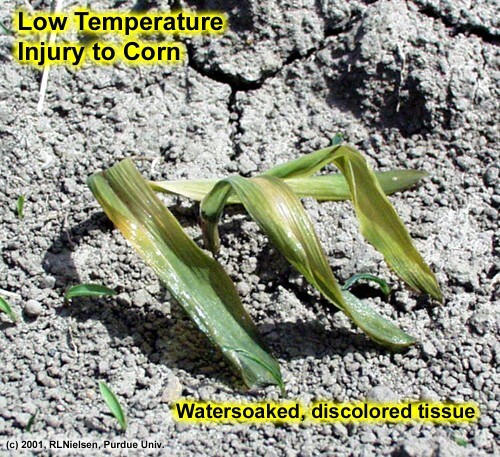 Corn can often survive a 'simple' frost event, wherein the exposed leaf tissue is damaged by the frost but the growing point is not exposed to truly lethal temperatures. 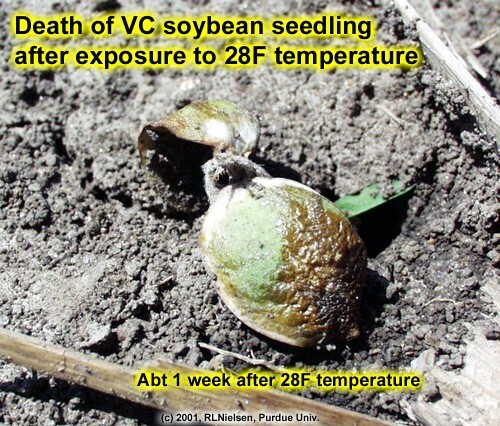 Lethal cold temperatures (28F or less), on the other hand, can kill the growing point even if the growing point is still below ground. 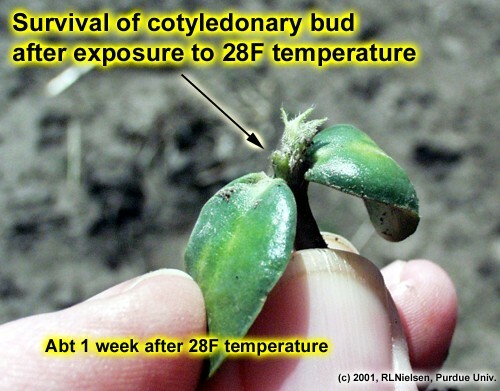 Another key factor in last week's freeze event is that low temperatures occurred for two consecutive mornings, each time for several consecutive hours. 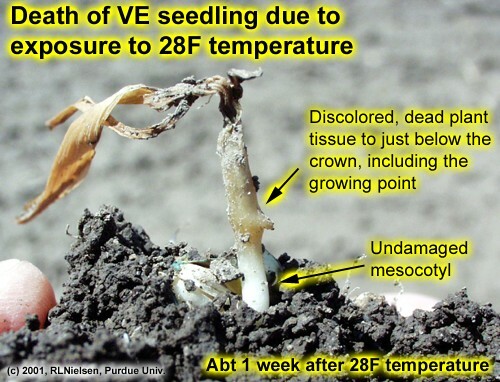 Recorded air temperatures near West Lafayette on the first morning were 28 to 29F for five hours. 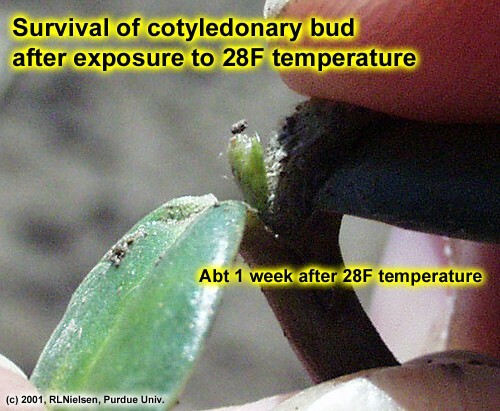 The following morning, recorded air temperatures were 27 to 29F for eight hours. 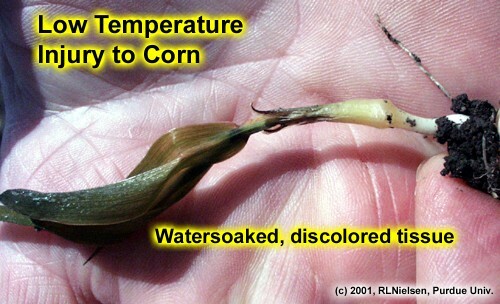 Furthermore, the reported air temperatures are measured several feet above the ground. 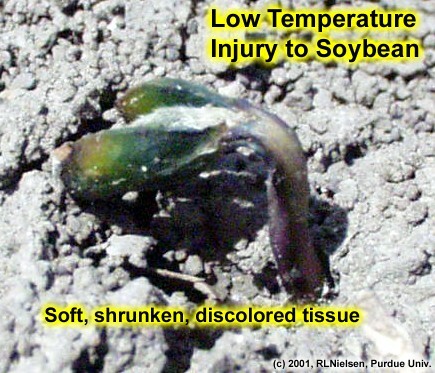 Temperatures at the soil surface were probably even colder.